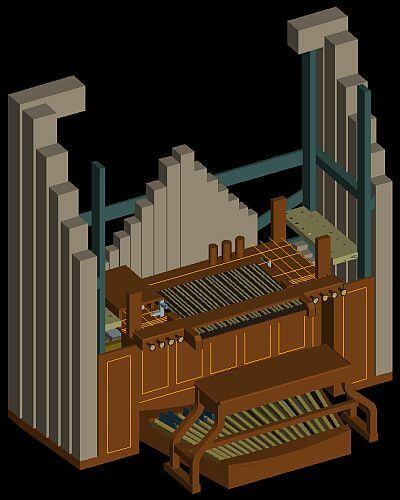 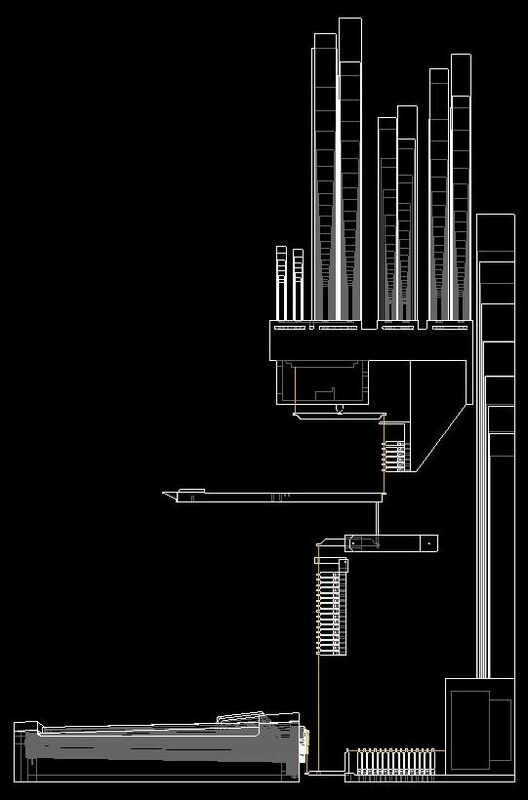 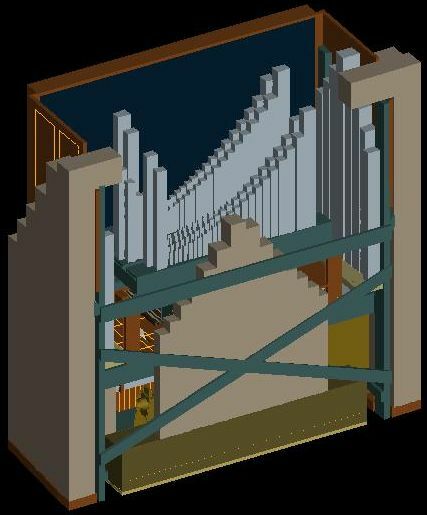 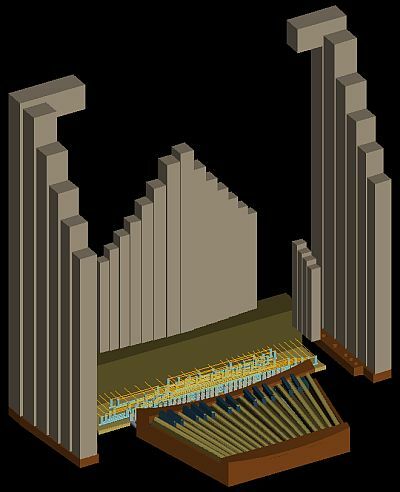 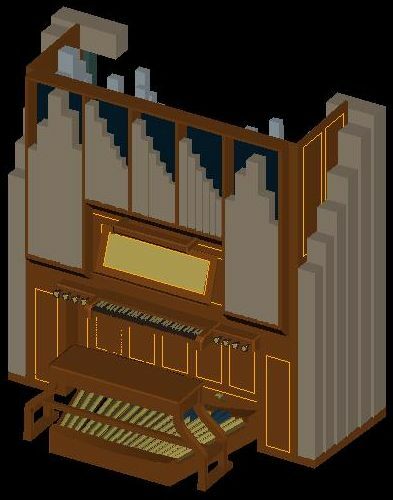 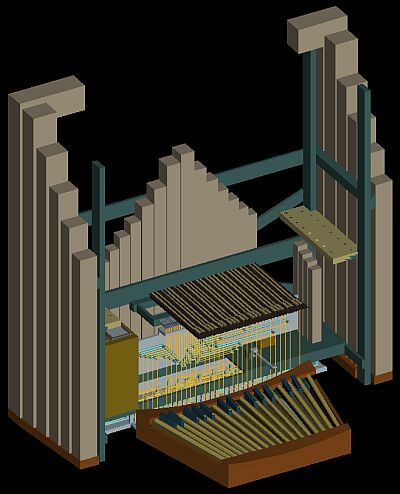 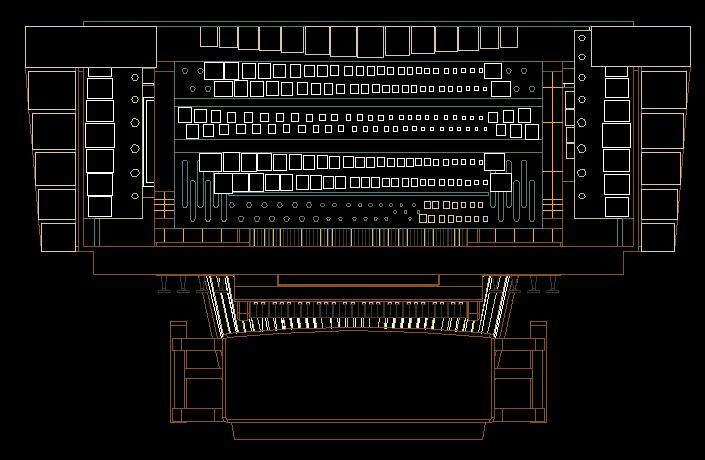 I used CAD software to design and model all the components of the organ. 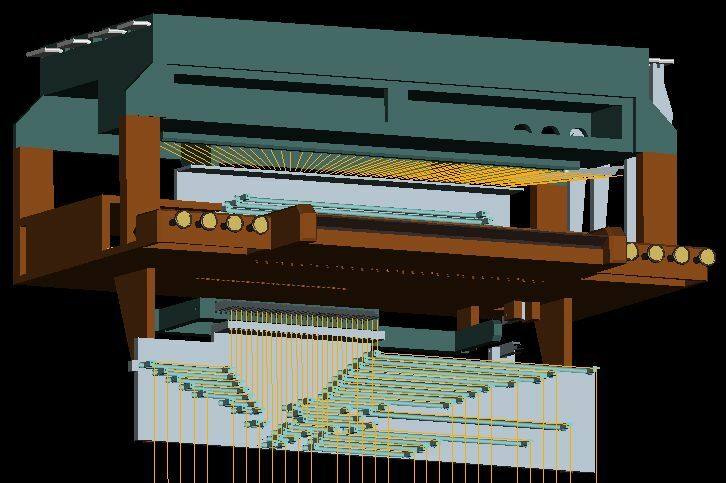 If you have CAD software, you can download the following STL files. 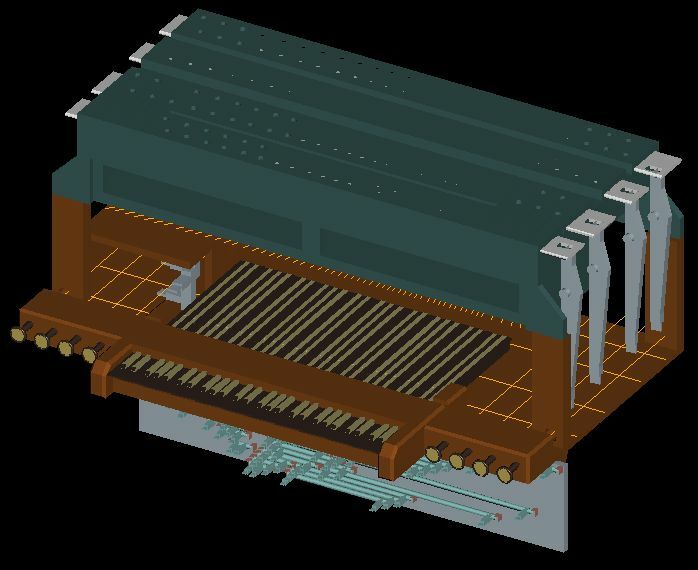 STL files are generic 3D models that can be imported into most CAD programs. 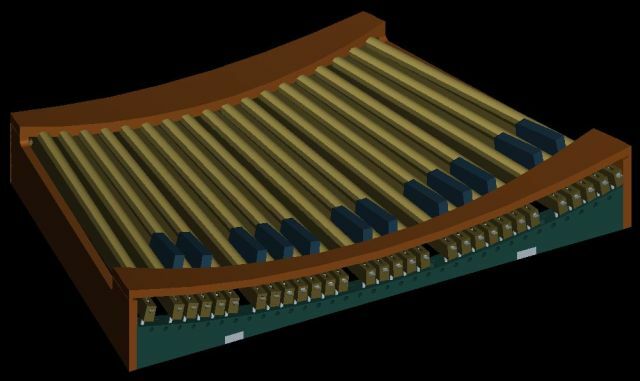 Pedal Board (874KB) This is a model of the pedal board. 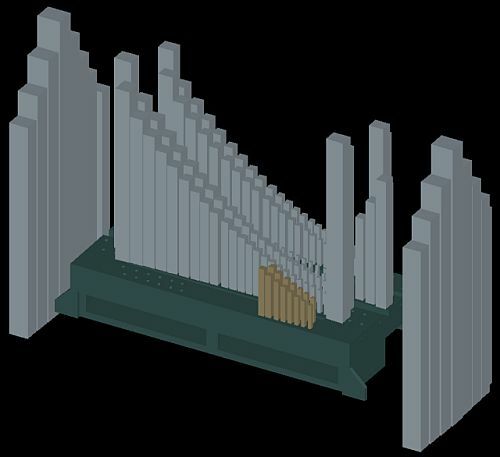 Windchest (597KB) This is a model of the windchest.